PA Chairman Abbas says US Amb. Friedman is 'the son of a dog,' promises to sanction Gaza for attempt on PA leader's life. Palestinian Authority (PA) Chairman Mahmoud Abbas on Monday called US Ambassador to Israel David Friedman the "son of a dog, settler." 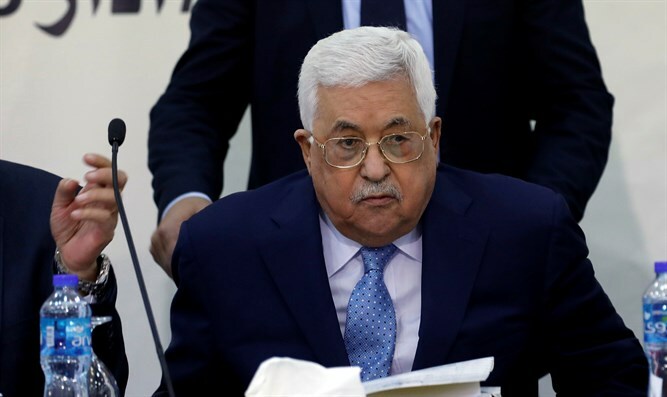 Speaking in at a meeting of PA leaders in Ramallah, Abbas slammed Friedman's previous criticism of the PA's refusal to condemn recent terror attacks in which Jewish civilians were murdered. "The United States legitimizes settlements," Abbas said. "That's what American officials do, and at their head, in Tel Aviv, is David Friedman. He said, 'They're building on their own land.' The son of a dog, they're building on their own land? He himself is a settler, and his entire family are settlers." Abbas also promised to sanction Gaza for last Tuesday's attempted attack on PA leader Rami Hamdallah's life, which he attributes to the Hamas terror organization. "I have decided to take nationalistic, legal, and economic steps against Gaza, in order to protect our national project," Abbas said. Hamas currently controls Gaza. Under the reconciliation agreement signed in October, the PA was to assume full control of Gaza by December 2017. However, this did not happen, since the PA insisted Hamas lay down its weapons, a demand to which the terror organization refuses to acquiesce.